Penalty King is an online Sports game which can be played at Plonga.com for free. 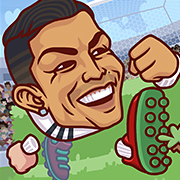 Penalty King has a rating of 4 stars (out of 5) and it has been played 95852 times now. Please go to our Sports games section if you want to play more games like Penalty King!